Five Adobe Bundle Online Course - Photoshop CS6, CC, Illustrator CS6 (Beginner & Advanced) and Lightroom 5! Go to the upper part of the page and click on Redeem Voucher. 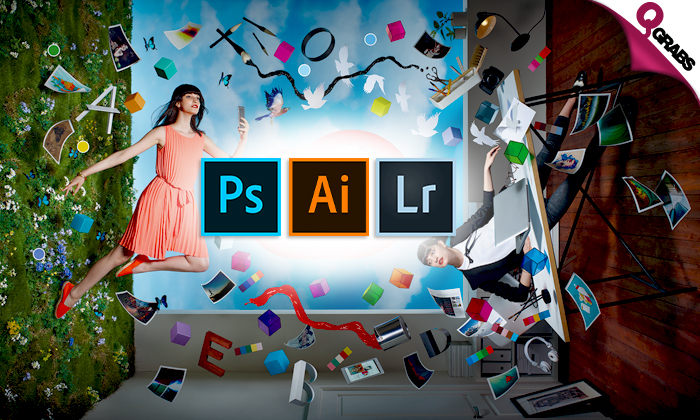 The 5 courses include - Photoshop CS6, CC, Illustrator CS6 (Beginner), Illustrator CS6 (Advanced) and Lightroom 5. Complete the courses at your convenience. With up to 98% off, you’ll be making wicked graphics before you know it! Teacher Bird is an online training portal, establishing a bridge between teachers and students by imparting knowledge through educational tutorial videos on Adobe software courses, Microsoft training, Mac OS Lion or Windows 8 training programmes, and more. Employing a project-based learning concept, the courses offer case-­to­-case problem-based methodologies where short, concise, and practical tutorials capitalize on the advantage of e­-learning. As such, learners adopt the freedom of learning in the comfort and convenience of their own home via a computer or laptop.